All I Ever Wanted by I.A. Rapper I.A. released the music video for his single “All I Ever Wanted” off his “Beyond Paradise” album. Love is in the air for his song about relationships. He’s spreading his love all over the islands of Hawaii. Feel that love. It’s all that you’ve ever needed. You can get the single on or amazon. Listen to more I.A. 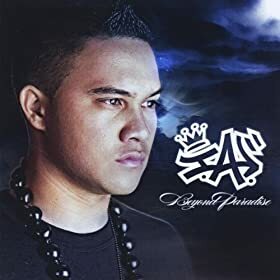 : Bring It Back, The Long Ride Home, Too Hot, Killa Wit Da Beat, Boarding Pass mixtape, Take It There, Summertyme, Too Cool (Shave Ice), Loco Moco, Too Hot (lookin fly), and The Jump off. This entry was posted in music on August 21, 2012 by Kevin Hsieh - channel APA.